Each card shows a unique design with great love of detail. Clever references and inside jokes make it a joy to discover every single one. 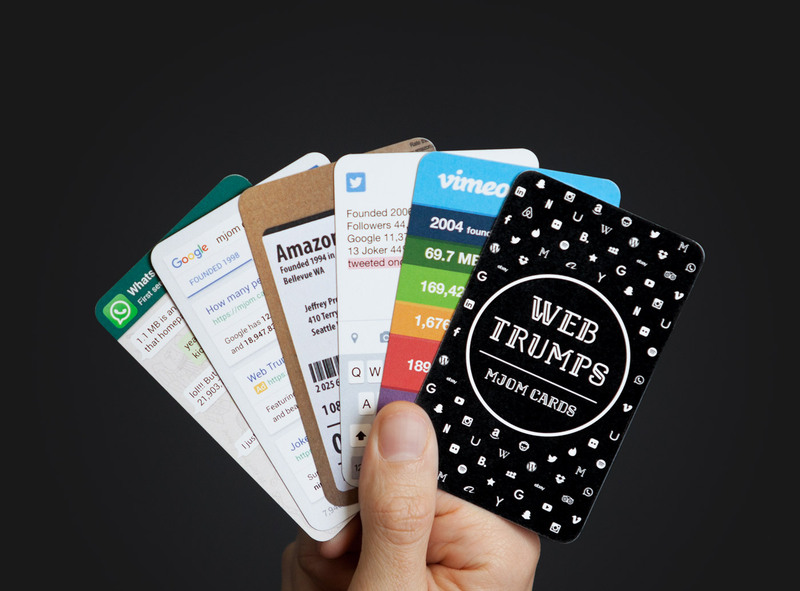 Web Trumps are manufactured in a small print shop in Vienna, Austria and are printed on high quality italian card paper. 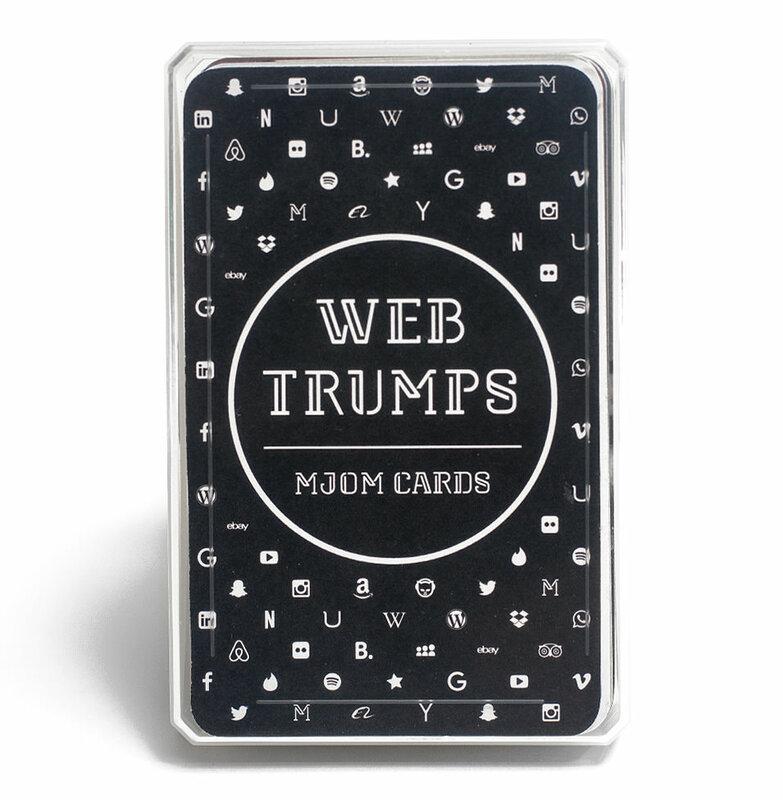 Web Trumps was a limited art project by Die Antwort and 86/60. The card game is no longer available. If you got one considers yourself lucky. 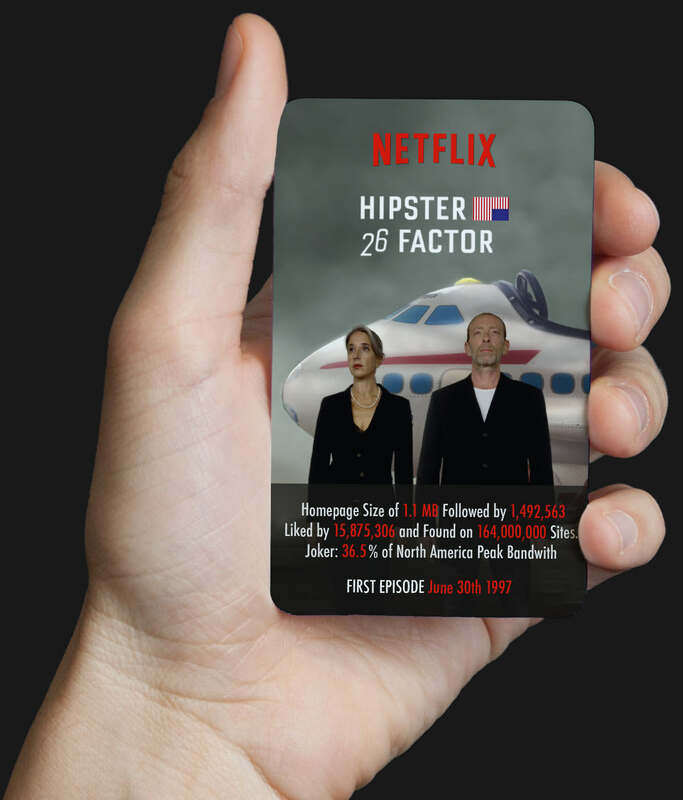 Web Developer and initator of MJOM Cards. His favorite card is Google. Web developer and social media heinzi. His favorite card is YouTube. Designer, typography nerd and founder of 86/60. Can’t decide which card is his favorite one. Designer, photographer and founder of 86/60. His favorite card is Netflix. 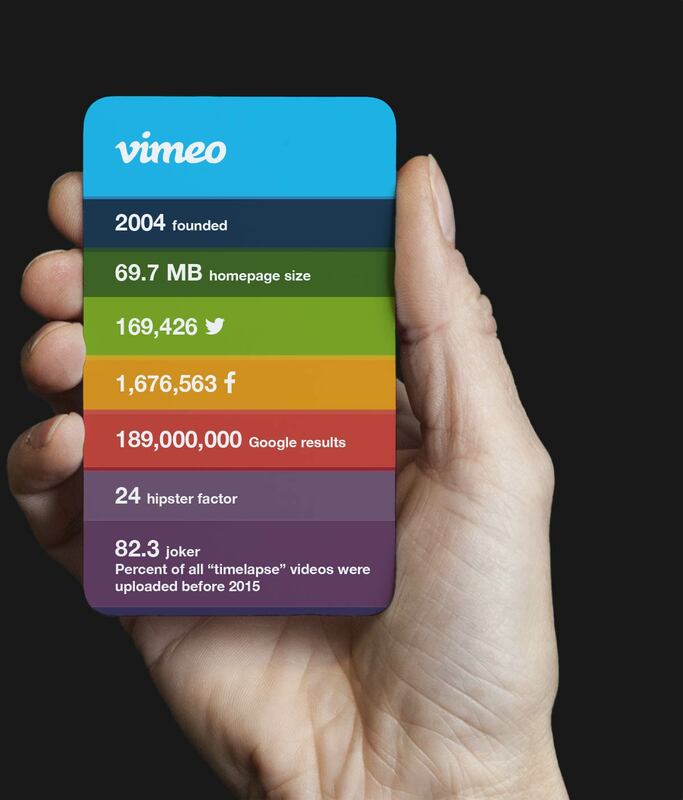 Designed with love by 86/60 & coded with passion by DIE ANTWORT.